In this little place in Peñafiel they'll help you choose the wine according to your tastes or the tastes of the person you want to surprise. 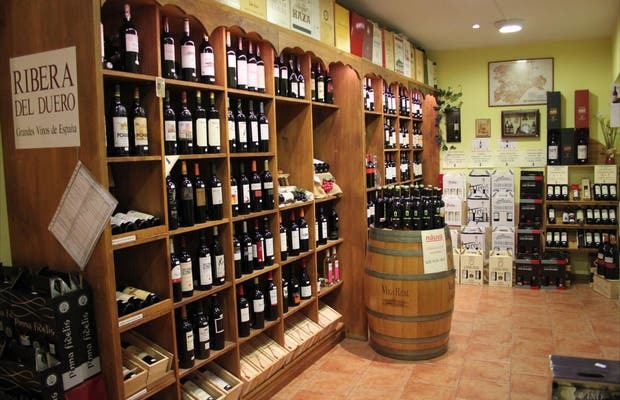 You may feel a little lost among the more than 200 different wines that have the DO (Denominacion de origen, or where the wine is from) Ribera del Duero, Cigales, Rueda and wines from Castilla y León, but don't worry because in this wine bar the counseling is guaranteed and you can also ship your purchases anywhere in Spain. Except Sunday afternoon, it's open to the public the rest of the week so that you can be swayed by greed with the cheeses or artisan pasta in the area.